Phoenix Play LED Bluetooth Bathroom Mirror might look like a common mirror, but we assure you it's anything but that. You get many modern features that will let you do so much more with this mirror than just see yourself. 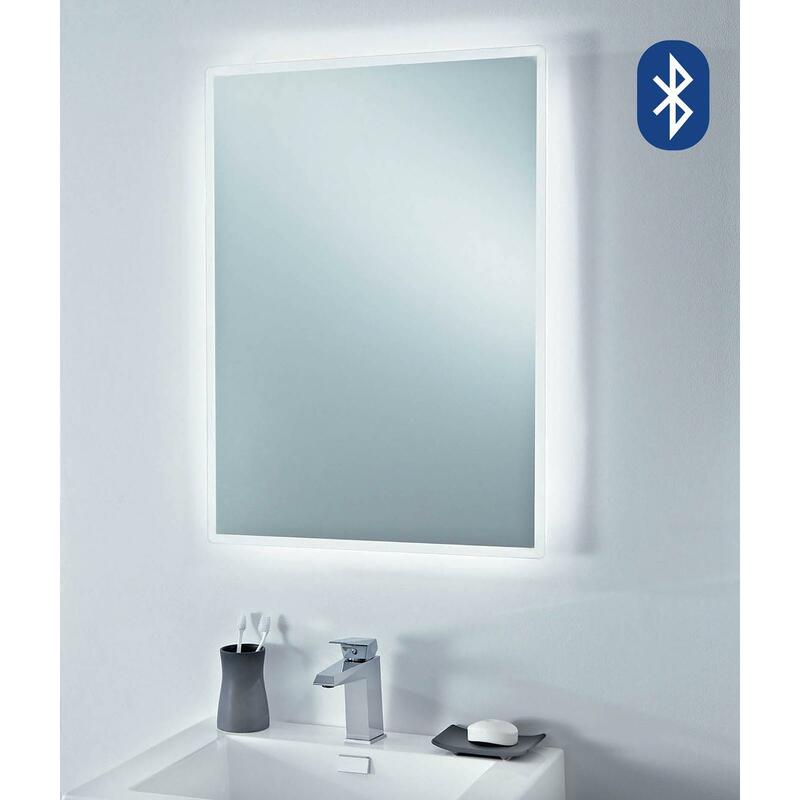 One of the best is that this mirror is Bluetooth compatible, allowing you to play your favourite music as you get ready in the morning. There is also LED lighting around the perimeter of the mirror and an on/off touch sensor. Heated demisting prevents the mirror from fogging up while you shower and there's an included shaver socket. The mirror can be mounted in either orientation and should be installed by a qualified electrician. It measures at 750x550x50mm. The Phoenix Play is a wonderful mirror with many features you're sure to adore. Whether to play music or help you get ready with the LED lighting, this mirror can do so much more than standard units.